Wish your Loved ones in a Best Way with Customized Greeting cards!! Turn your loved ones photos into beautiful keepsake that everyone will cherish for years. Wish your Dear ones with Exploding Love! 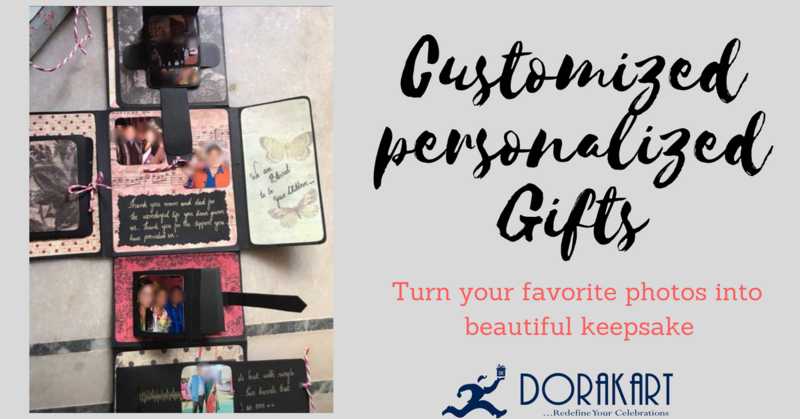 Order personalized hand-made gifts 3-4 days before any kind of event and let your loved ones know they are really special!!! We accept orders for Exploding Boxes, Exploding Photo Cubes, Photo Wheels, Scrap Books, Rotating Wheels, Mini Merry-go-rounds, Photo Trains, Memory Turner, Layered cards, Infinite Box.